Clare and her siblings Rosie and Jacob are about to move house. 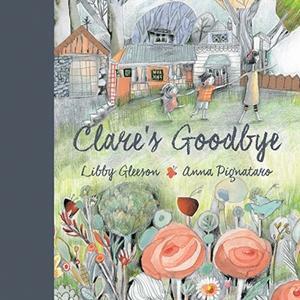 Rosie and Jacob insist on saying goodbye to everything, from their tree-house to the place their pet bunny is buried, but Clare refuses to participate. Clare’s sadness is apparent in her silence, as well as through Pignataro’s touching, charcoal illustrations, like the image of Clare with her back turned as the removalists cart their furniture away. It’s hard not to feel for her – the youngest child, and the least likely to process a big change. The stark emptiness of the rooms highlights the finality of the move, and allows Clare to bid farewell in her own, special way. The illustrations convey a childlike innocence and evoke much emotion, with a moody grey palette tinged with colour reflecting the poignancy of the story. This is a touching tale about the difficulties faced in saying goodbye and moving on, and the importance of allowing little ones the space and time to cope with change.